When someone is looking for small log cabins they are seeking a smaller version of the larger log homes. Smaller log cabins can still hold the quality, uniqueness, and beauty of their larger counterparts. For those that are looking for “just a cabin” sometimes the owners prefer to purchase a less expensive log package and dryin materials. The first element of a log cabin is the log materials, the log shell. A log shell can be as simple as just the four exterior log walls, or it can be a more complete log shell and include the four exterior walls, log roof system, log support posts, log floor joists to support the loft, log staircase, interior log railing for one side of the staircase and loft edge, log header beams and support posts for any covered porches, log wall assembly hardware, and construction drawings. The least expensive log is a cabin grade log. These are milled logs that have a rougher surface appearance while still remaining strong. A premium grade log is milled with a smoother finish than a cabin grade log and is a little more costly. For log sizes for small log cabins the logs are either an 8, 9, 10, or 12 inch diameter. For an 8 inch log diameter each row gains about 7 inches in stack height to allow for the overlap of log to log. We often go with a larger diameter roof system, so your cabin might have an 8 inch stacked wall log with a 10 inch diameter roof system and support posts. 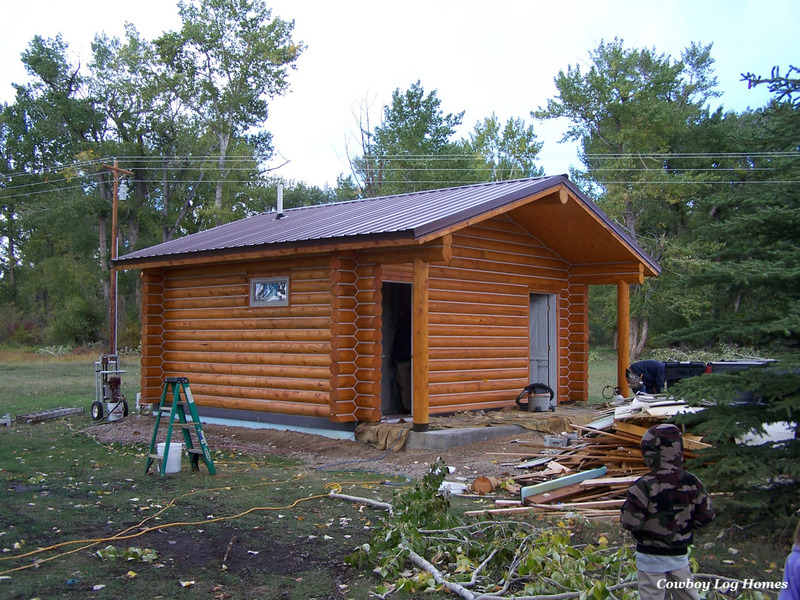 Small log cabins do not have to be built from less expensive materials than larger log homes. Most customers choose to go with the premium grade log, but for those who are building a remote cabin, hunting cabin, etc. the price on the cabin grade logs is very appealing. It is a huge misconception that log cabins are always made from less expensive products. Premium grade logs and the handcrafted log cabins are actually more expensive to build per square foot than a larger log home. Why is this? Because there is less square footage over which to spread the cost. A handcrafted log cabin is more of a luxury log cabin due to the size and massiveness of the logs. A handcrafted log is 12 to 16 inches in diameter and up to 50 feet in length. The logs are hand peeled with the draw knife pattern. Areas of the logs are hand sanded smooth. Below is the Bridger log cabin built in the handcrafted log style. Most of the smallest log cabins start out in the 300 square foot range. Our smallest stock log home floor plan is the Lariat weighing in at 320 square feet. This one also has the smallest footprint, measuring a mere 16′ wide by 20′ deep. Many times these smallest of cabins are designed for specific purposes instead of individual home owners. I have had small cabins used for coffee shops, ice cream parlors, tackle and bait shops, greeting posts at the entrances of lodges, and even home offices. Another interesting interesting style of cabin is the Scandinavian Log Cabins or handcrafted log cabins such as the Bridger. These are made in the image of the larger handcrafted log homes, just once again on a smaller scale. One of our most popular small cabin plans is the handcrafted Bridger. Standing on a footprint of 24’x 36′ with a total square footage of 1,392, this little cabin is a darling. A handcrafted log truss also decorates the left gable end of the home with a gable dormer and a sun room on the front side. With the log cabins, there is much intrinsic beauty that makes them far surpass a framed cabin. Both the milled and the handcrafted log cabins can have the draw knife pattern on the log surfaces. This is always the finish that the handcrafted logs come with, but we can also draw knife hand peel a milled log. 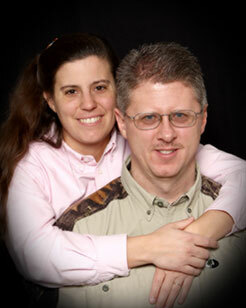 For our company, we tend to define log cabins as simply floor plans under 1,500 square feet. Often log home owners will refer to their home as a ‘cabin’ even when it reaches luxury sizes of 5,000 or even 10,000 square feet. The term cabin just gives a rustic, woodsy, outdoorsy feel that no other word can quite convey. Log cabins are a part of Americana. They are part of what people think of and dream of when they are contemplating a trip out west, a weekend getaway, or being 100 miles from the nearest Walmart. Dreams are very real and dreams are the substance that have kept many future log home owners going in the current economy. If you are one of the many who have had their dreams delayed because of economics, don’t despair, your log cabin is still waiting for you. And just perhaps it will make it even a little sweeter when you get to realize your dream and build your small log Cab-In-D-Woods. Feel free to select a floor plan and request a quote! « Gallatin Floor Plan 1,890 Sq. Ft.